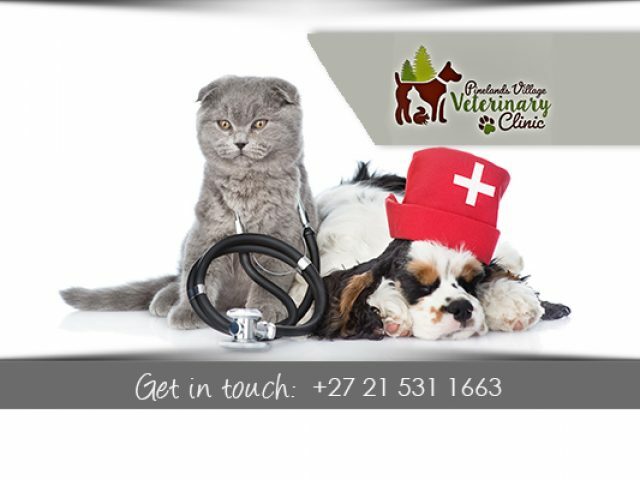 Pinelands Village Veterinary Clinic is the animal clinic with the personal touch. Show you fur-babies how special they are with professional pet services in Pinelands! As a pet owner, one quickly comes to realise that all pets become firm members of the family, and like any human family member, pets need to be taken care of to ensure a long and healthy life. From cats, to dogs, to lizards and pigeons, the pet services in Pinelands provide a wide range of services and products. Pet parents will find several grooming parlours available, to properly primp and preen your fluffy child, as well as exceptional veterinary clinics and hospitals that can help with any medical ailments your pet may be suffering from. If you are looking for a pet food supply store, the perfect toy for Fido, or for a vet to care for your sick or injured pet, you will find these outstanding pet services in Pinelands! The service providers are all passionate animal lovers, and care deeply about the welfare of all animals, so your pet is guaranteed to receive the absolute best care possible, and you are sure to get reliable and professional advice on all things pet-related. Feel free to browse through the advertisements in this category to find the perfect pet services for your fur-babies!